Take our online school for a test drive in our free sample course, containing 12 real lessons from our most popular courses. Your sample course includes lessons from 12 different courses, each highlighting a different interest area. 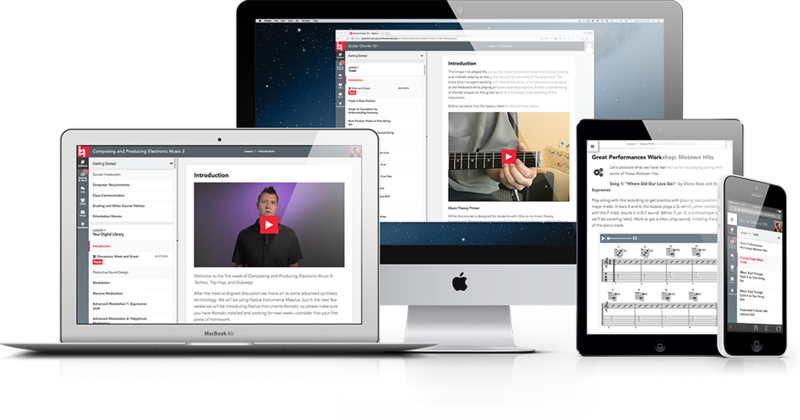 Each lesson offers content pulled straight from its course, including video and audio clips, discussion topics, and weekly assignments. 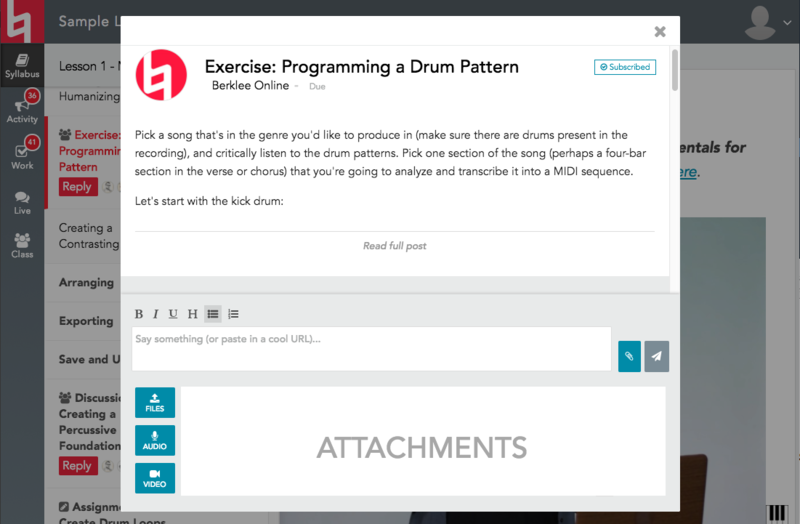 Berklee Online features a revolutionary, custom-built online learning management system. 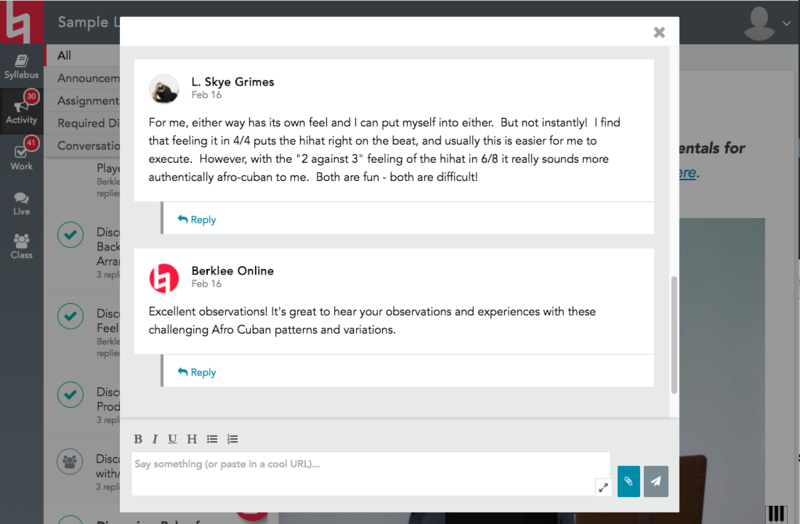 Combining classroom, syllabus, and course content, you can chat with your instructors live, upload your assignments and get feedback, and connect with your fellow students - all in one environment. 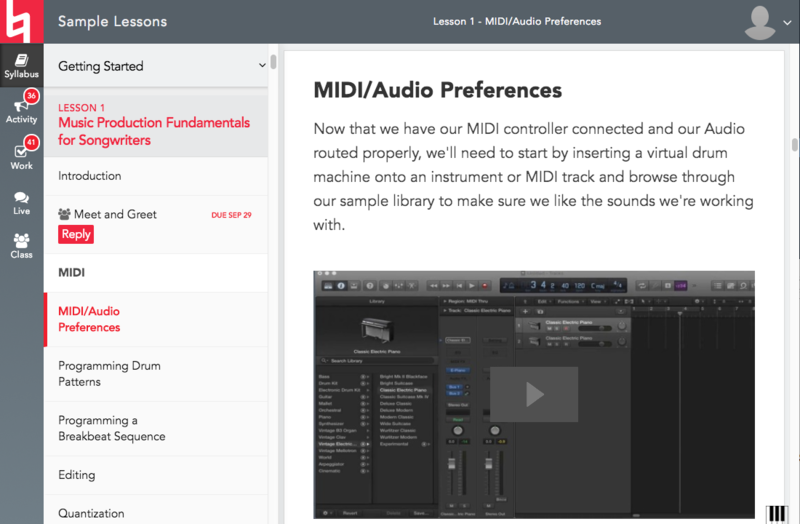 Access instructors during their weekly "office hours"
Learning music just got a lot easier, and a lot more fun!